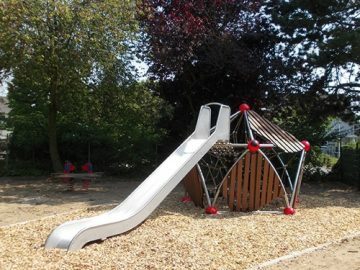 Our spe­cial product group, Green­ville, adds an ele­ment of nat­ur­al design with the addi­tion of bam­boo pan­els. 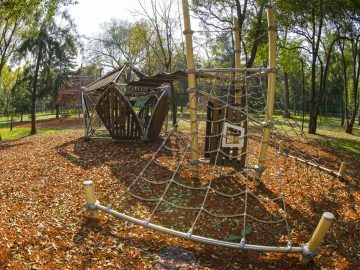 Tree houses, rope play houses or towers can be used as stand- alone struc­tures or else linked by bridges, tun­nels and oth­er ele­ments, or merged into one anoth­er as with Triito­pia. 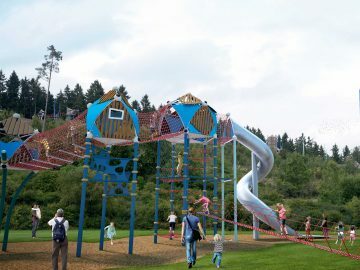 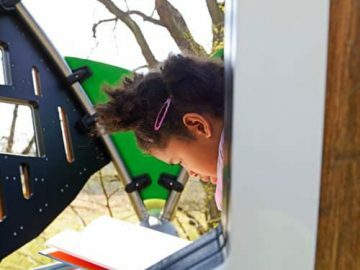 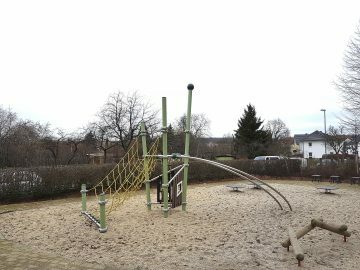 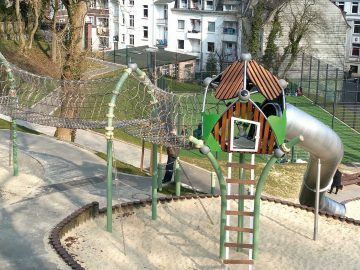 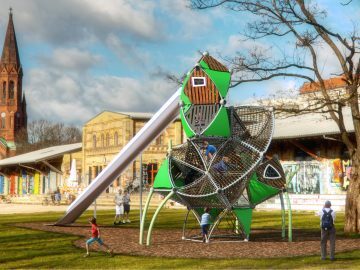 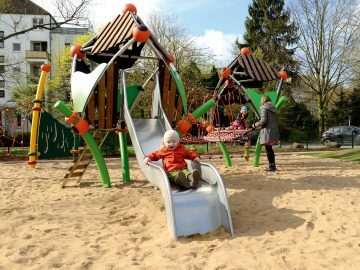 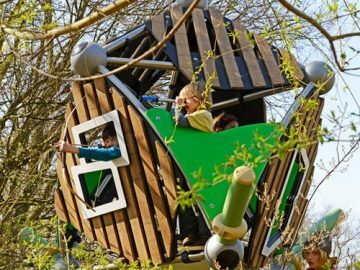 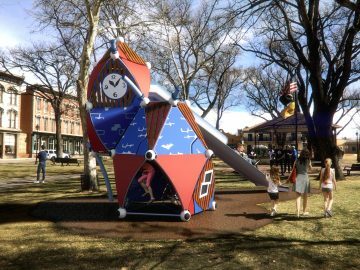 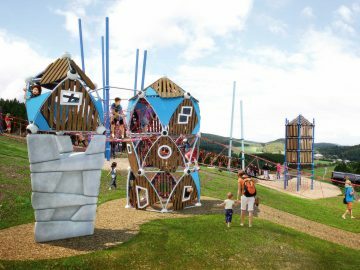 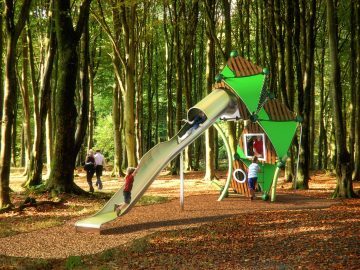 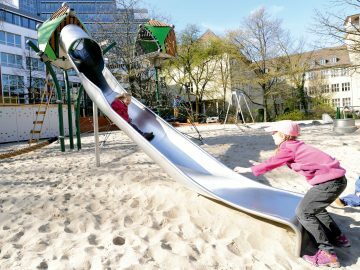 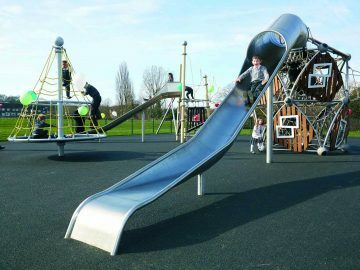 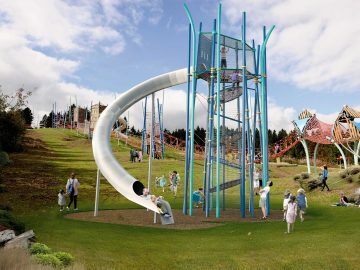 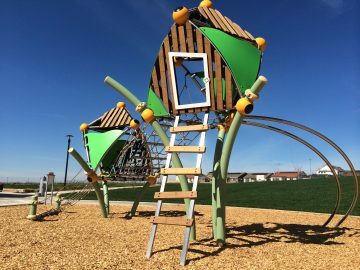 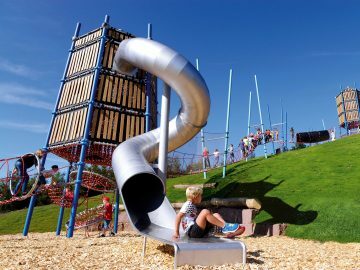 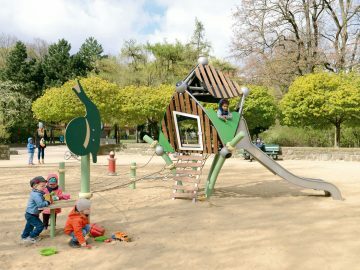 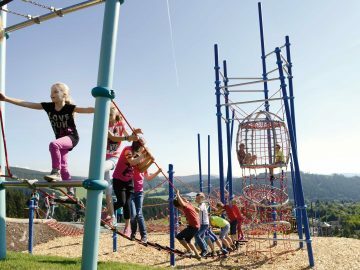 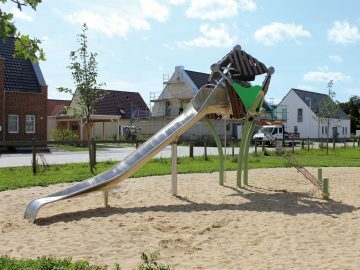 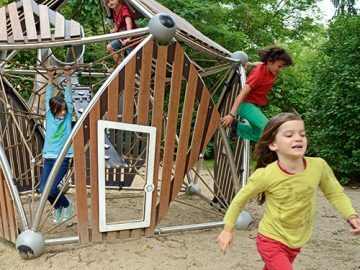 Fur­ther devel­op­ment of the Green­ville rope play houses and tree houses has cre­ated new oppor­tun­it­ies in the design of play­grounds and the util­iz­a­tion of space, while blend­ing in with the nat­ur­al sur­round­ings. 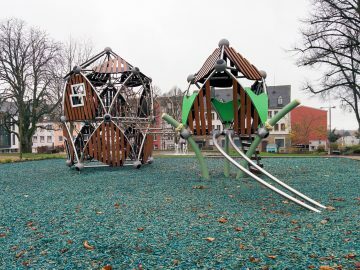 The Green­ville struc­tures can be com­bined in end­less con­fig­ur­a­tions through the use of excit­ing con­nect­ing ele­ments. 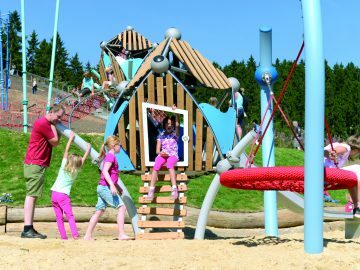 Triito­pia com­bines award-win­ning design with tried and tested mater­i­als! 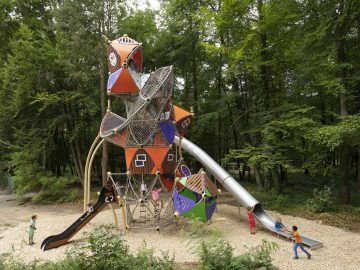 A magic­al world of climb­ing and adven­ture where real­ity and fic­tion blend togeth­er and evolve into the unpre­dict­able inter­play of see-through and closed façade ele­ments that are com­bined in closeknit, nestled and asym­met­ric ways. 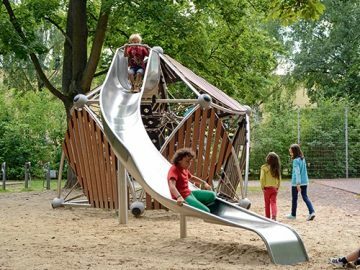 Diverse net pieces invite you to climb, and lead to numer­ous corners and angles, and up to view­ing areas and slides on dif­fer­ent levels. 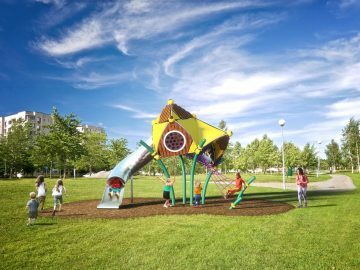 Let the vari­ous Green­ville products merge into one anoth­er. 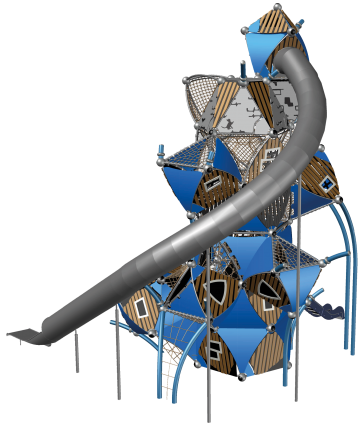 A new world will arise. 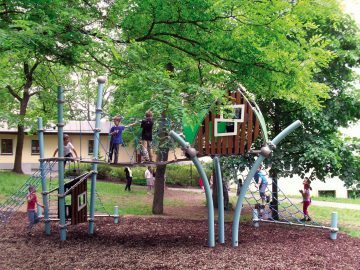 The idea of climb­ing a tree just to see the earth from anoth­er per­spect­ive is as old as the trees them­selves. This idea was our inspir­a­tion to devel­op the Green­ville Triis. 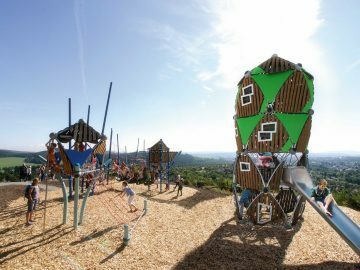 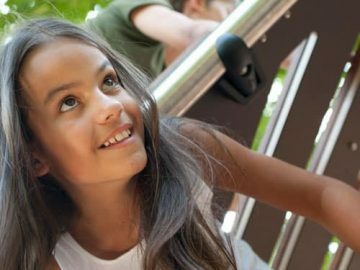 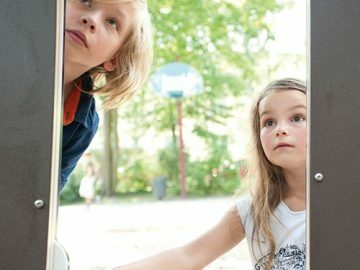 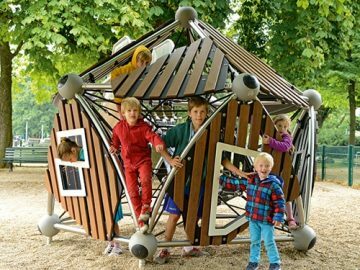 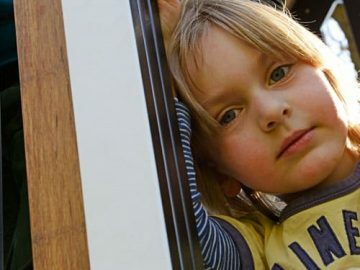 These beau­ti­fully designed play­houses in dif­fer­ent sizes need at least an access or a con­nec­tion from anoth­er Trii. 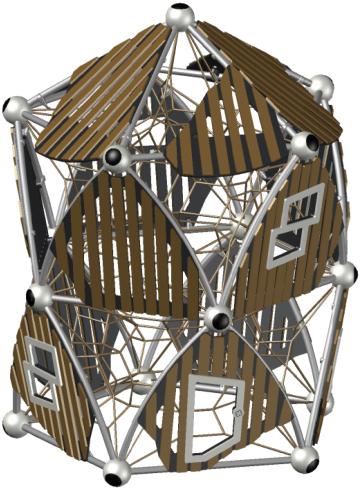 Cre­ate your own Trii-House-Vil­lage. 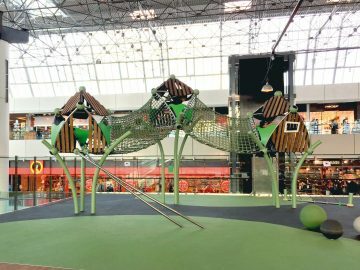 Fur­ther devel­op­ment of the Green­ville rope play houses and tree houses has cre­ated new oppor­tun­it­ies in the design of play­grounds and the util­iz­a­tion of space, while blend­ing in with the nat­ur­al sur­round­ings. 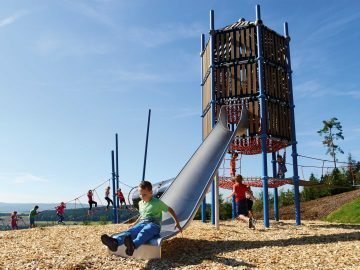 The Towers provide the answer to three key play­ground require­ments. 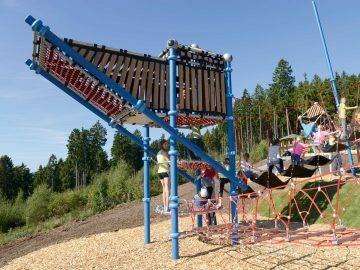 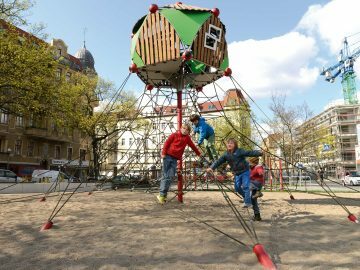 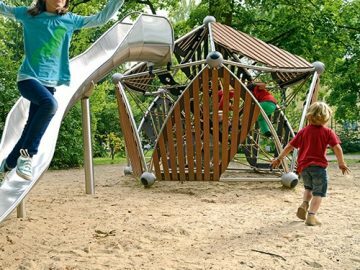 First, their height ensures that max­im­um play volume can be cre­ated in a smal­ler play space, as is shown in the Green­ville Style series, with tall towers con­struc­ted in diverse designs. 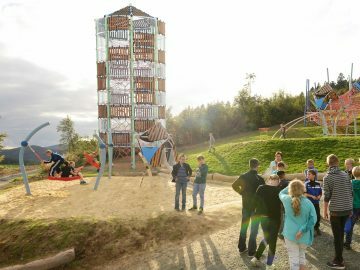 Second, the Towers can be com­bined in end­less con gur­a­tions through the use of excit­ing con­nect­ing ele­ments. 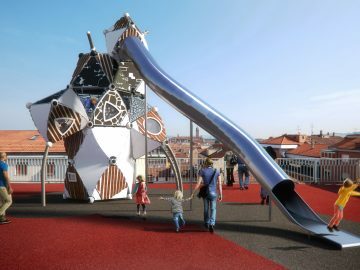 And third, sig­ni­fic­ant height dif­fer­en­tials can also be com­pensated for because of the exible nature of the bridges and tun­nels. 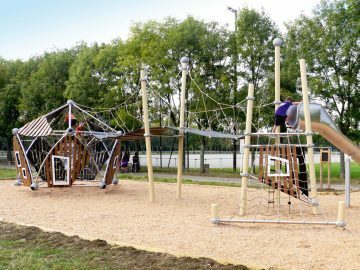 The space net as a play com­pon­ent is the per­fect base for a struc­ture on a play­ground to climb in. 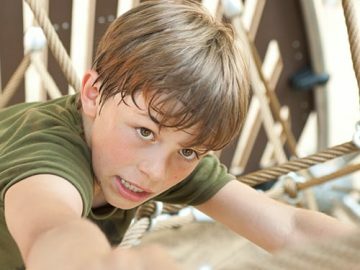 Climb­ing in a three-dimen­sion­al net is a chal­lenge and stim­u­lates 3D think­ing and the psy­cho­mo­tor skills of chil­dren. 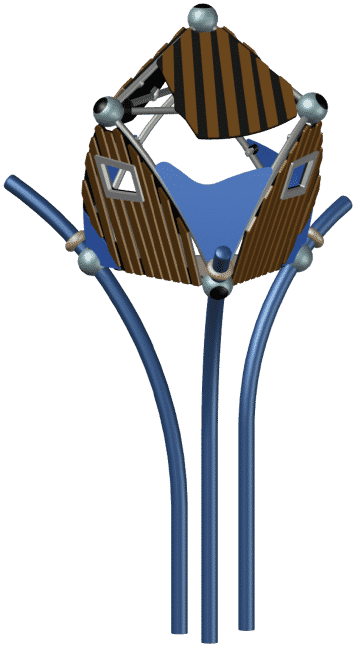 Three-dimen­sion­al nets in an out­er frame also offer numer­ous com­bin­a­tion cap­ab­il­it­ies and thus out­er­frame struc­tures are used to build a huge com­bin­a­tion from the start or keep adding to it step by step. 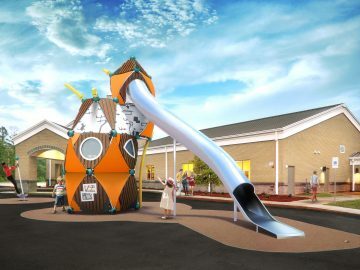 The Green­ville struc­tures even become bet­ter by adding the bam­boo pan­els to give them the resemb­lance of a clas­sic play house in nature, while still being more valu­able with a three-dimen­sion­al net for climb­ing and the space for recess like a play­house.